Nebraska Family Forum: Libertarian Party Chairman: "Nebraska enacts a nanny-state law"
Libertarian Party Chairman: "Nebraska enacts a nanny-state law"
"Every right-thinking adult understands the importance of educating our youth. While some may disagree on certain curriculum, we all certainly agree on the need. Unfortunately, Nebraska has taken upon itself to enact a nanny-state law that is burdening the courts with otherwise law-abiding parents defending their parental choices to keep children home from government school. “How far have we come that our elected officials not only mandate you and I pay for a service—government schooling—but, also attach criminal penalties for violating usage of the service? 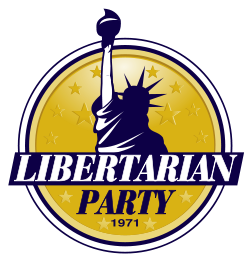 The Libertarian Party believes that parents should choose what is best for their children. Parents already have very little choice in today’s government-run school system. Now the state wants to operate under the premise that only government knows what’s right, at least most right, for children. “The principle of self-ownership is inherently a Nebraskan principle. The citizens of this state are not subjects to be ruled and dragged in-front of judges when some bureaucrat decides a child has missed too many days of school. Nebraska, her schools, her land, and her government belong to her legal residents after all. When did our elected officials get this switched around? “We strongly encourage Nebraskans to contact their state Senators to find where they stand on this issue. Further, we ask that all taxpaying parents contact their local government school to demand an explanation of where the respective principal stands on this law.